Limestone-acid reaction. 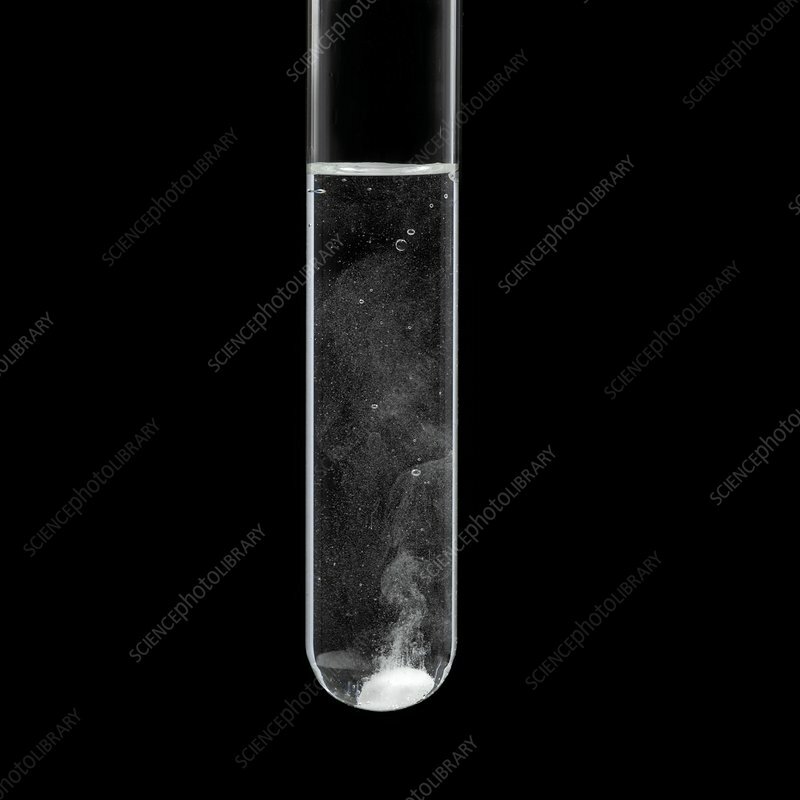 Limestone (calcium carbonate, CaCO3) reacting with acid in a test tube. Bubbles of carbon dioxide gas are being produced in the resulting reaction. This is an acid-base reaction, where calcium carbonate (the base) reacts with the acidic hydrogen (H+) to form aqueous calcium ions and carbonic acid (H2CO3). This acid is unstable, and rapidly decomposes to form carbon dioxide (CO2) and water (H2O). This is how rainwater erodes limestone.